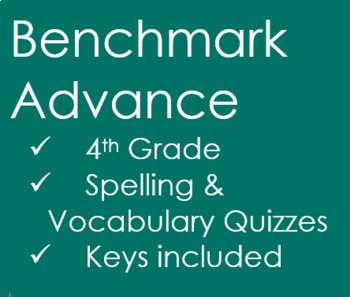 Benchmark Advance Quizzes for weekly spelling and vocabulary. 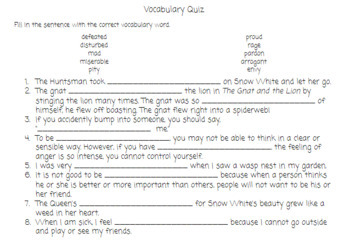 4th GradeSpelling & Vocabulary QuizzesKeys included Unit 1 OnlyThis resource is a cut and dry, to the point, kind of resource. I wanted to create quizzes that were print and go so that it saves you time and stress. 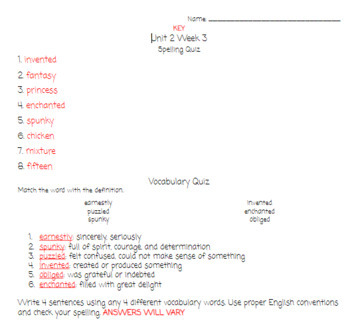 Benchmark Advance Quizzes for weekly spelling and vocabulary. 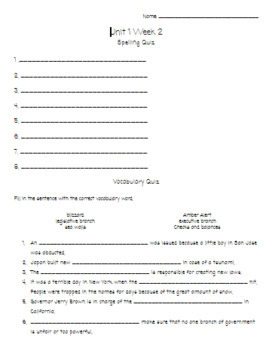 4th GradeSpelling & Vocabulary QuizzesKeys included Unit 2 OnlyThis resource is a cut and dry, to the point, kind of resource. I wanted to create quizzes that were print and go so that it saves you time and stress. Benchmark Advance Quizzes for weekly spelling and vocabulary. This resource is a cut and dry, to the point, kind of resource. I wanted to create quizzes that were print and go so that it saves you time and stress. Easy to grade quizzes with keys!